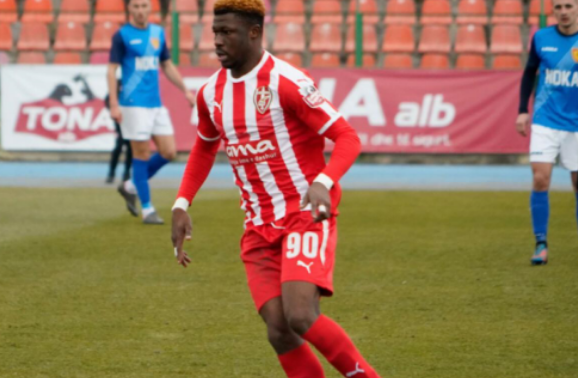 Ghanaian prodigy Kwasi Sibo produced another spectacular performance in FK Skenderbeu's a 2-1 win over KF Laci in the Albanian top-flight at the Laci stadium on Monday evening. 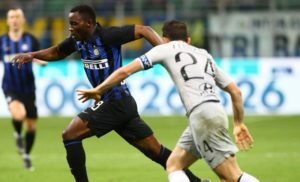 The 20-year-old midfielder, who lasted the entire duration of the game delivered an incredible performance and was superb in midfield to ensure his side clinched all three points in the crucial fixture. Blerim Krasniqi opened the scoring for the hosts in the 56th minute before Marko Pervan doubled the lead in the 76th minute. Gentian Selmani however, netted the only consolation goal for the visitors on stoppage time. FK Skenderbeu are currently 4th on the league table with 33 points, two points above Laci who occupy the fifth position after matchday 21 of the Albanian Superliga. Sibo joined the Red and White lads until the end of the season from English Premier League side, Watford. 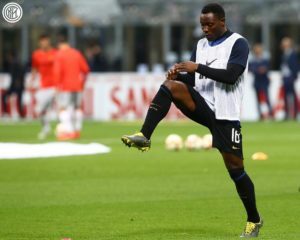 He is a product of Ghanaian lower-tier side Cheetah FC and is the younger brother of Liberty Professionals talisman Simon Sibo.